Everybody wants a neat home. You want it to look like you take pride in your home, which you do. However, sometimes, you feel you don’t have enough time to keep it looking neat. These 8 tips for keeping your home neat won’t take a long time to do, but they are worth it. Make the bed. As soon as you get up, make the bed. Making the bed is a simple way to keep a room looking tidy. It’s also warm and inviting to get back into at the end of the day. It shouldn’t take you more than three minutes to make your bed and you’ll feel like you really accomplished something. Have a place for everything. If you have a place for everything, then put everything back in its place. This is a necessity of home organization. Baskets, toy containers, hooks, drawers, organizers and closet systems are all handy items where you can place things. Don’t just do it willy-nilly. Take the time to figure out a system for where things belong. Then, follow that system and, when you buy something new, figure out a place for that too. Put everything in its place. This goes hand-in-hand with tip #2. Once you figure out where to put stuff, make sure that the stuff gets put there regularly. If you’re in one room and you see something that belongs to another room, take it out of the room and put it back where it belongs. It takes very little time to do this and you’ll feel much happier as a result. One mess at a time. If you have kids, you know how they like to make a mess. Well, teach them to clean up one mess before they move on to the next. If you instill this habit in them, then it’ll be much easier in the long run and much nicer to live in your home. You can’t do everything yourself. Even young children can help put items away. Make it into a game. Then, they’ll be more likely to do it without a reminder. Do laundry daily. You can make time to do one load a day. Wash, fold and put away the load. If you wait for laundry to pile up, it will take a lot longer to do. If you don’t put it away, those piles of clean clothes will start to look messy too. Do the dishes. Most of us have dishwashers. So, as soon as the day’s meals are over, run the dishwasher. It will run while you’re watching TV or relaxing. Before you go to bed, put the dishes away. You can ask your spouse or your children for help with this. It’s easier to unload the night before than during the breakfast rush the following morning. Clean your kitchen counters. If you put your dishes into the dishwasher and then right away when done, you shouldn’t have a bunch of clutter on your counter tops. You can wipe them down any time there is a spill or mess. Pick up after yourself as you cook so you don’t have to do a big-time clean every time you make a meal. 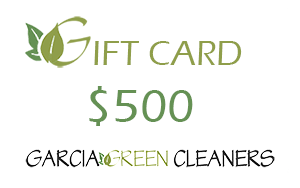 Remember, if you spend a little time keeping your home neat and tidy each day, it won’t be that bad when you have time to do a more thorough cleaning or when you hire us at Garcia Green Cleaners to come in. We can get to the deep cleaning portion of your clean as long as you do the main tidying tasks and be more effective for you. Want to hire us? Great! Give us a call at 512-705-2812 in Austin.